This book of poems was written for people who normally wouldn’t read poetry. Through these stories you are taken on a forty year journey that began during the height of the cold war and carries onto the new millennium; from one side of the country to the other. Nothing is hidden in these words, all the veneer is stripped away to show the beautiful vulgarity that is life and humanity. These poems read like the pink slip the foreman just handed you or the three day pay or quit notice tacked to the door of the apartment. It is the beeping of the repo-truck and the sudden surprise of the electricity being turned off. It is the first kiss, the first fight, and the first divorce. Poems like “Paying Rent,” In the Shadow of the Bomb,” and “Bar Fighting with Mullets,” demonstrate both his matter of fact ethic and his combination of humor and pathos. Gardner can use the same 16-line poem to make you laugh and make you pause for a moment. The geography of Gardner’s imagination is the California of Steinbeck, Woody Guthrie, Bukowski and Tom Waits. Family memories are recounted and childhood heroes populate the poems. The vocabulary is everyday life and Gardner’s objective is to show you the world through his eyes. I think Joe Garner deals with life the way he does because I think he grew up in uncertainty, in the shadow of the bomb. I knew a few of these kids in their 20’s who came into this life living under a cloud…of radioactivity; never knowing when or where the end would come, but having this “truth” rammed down their throats for the first 20. When you read this book, you can join Joe in bearing witness to this part of our history See our world. your world as Joe sees it. Perhaps, you’ll notice a voice in your head, crying out against our treatment of our world…and if you do, don’t be scared, you’re not going crazy…that’s the voice of your moral outrage!!!! 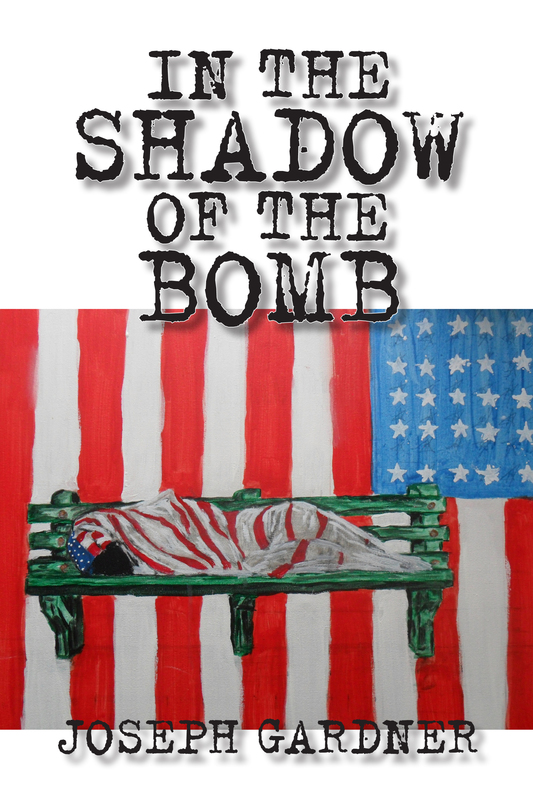 Read an excerpt of In the Shadow of the Bomb. To order by Credit/Debit card use the two buttons below. If by mail…send Money Order made out to Lummox Productions and addressed to RD Armstrong, 3127 E. 6th St. Long Beach, CA 90814 and made out in the sum of: $24 (U.S.A.) or $42 (World). There are E-copies available for $6 (these are PDFs). Contact us for more info. 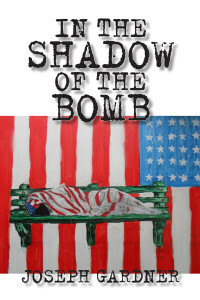 This entry was posted in 2015, Book, Merchandise, Shadow of the Bomb and tagged first collection, Joseph Gardner, los angeles, lummox press, military veteran, poetry collections on June 3, 2015 by bookdog.